Note: ADD Inc was acquired by Stantec. ADD Inc, a premier architecture and design firm, creates award-winning projects across the country from its offices in Boston and Miami. With an innovative spirit and deep expertise, the firm’s design teams develop a guiding vision for each project. By merging that vision with collaboration and business savvy, ADD Inc delivers consistently notable results in workplace, mixed use, residential, hospitality, retail + entertainment, branding and academic design. Yotel Boston has been refinanced via Bank of America for $78.367 million. 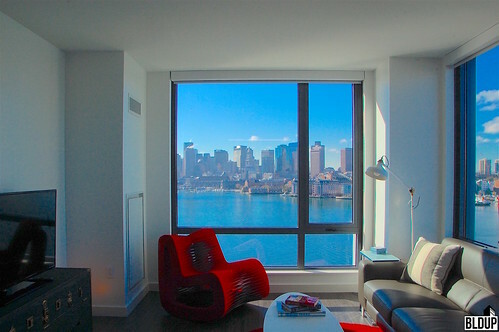 Boston's first Yotel in the Seaport District features 326 "cabins," approximately 180 square foot rooms positioned as an affordable option for business travelers. All cabins feature signature Yotel adjustable SmartBeds with luxury bedding, rejuvenating monsoon rain showers, relaxing adjustable mood lighting, many power connectivity ports and smart TVs connectable to guests' mobile devices. "Super-fast" Wi-Fi internet is available throughout the building. Construction is well underway on Building 400-500 a new 270,000-square-foot Class A lab, R&D and office development in Cambridge Discovery Park as the building topped off earlier this week. 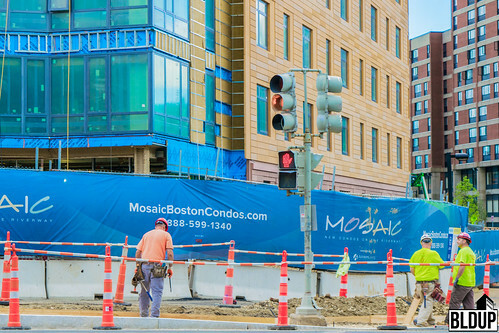 The project, just around the corner from Alewife Station will feature two distinct interconnected lobbies featuring a café and fitness center. There will also be parking adjacent to the building for 380 vehicles. Construction is set to be complete at the end of the year. 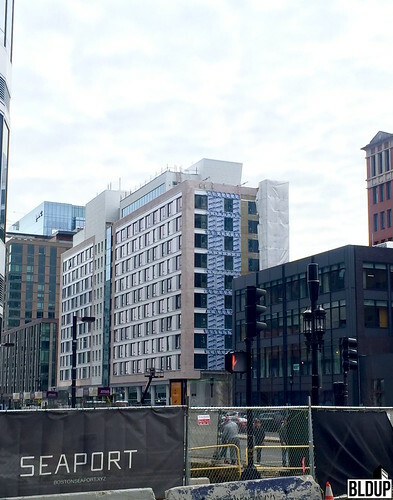 With the high-performance curtain wall of painted aluminum and Low-E insulated glass panels in place, interior fit-out is ongoing for Akamai Technologies headquarters at 145 Broadway in Kendall Square. The 19-story tower will allow Akamai to consolidate its local workforce while accommodating future hires. Work is also ongoing to complete the ground floor spaces which will activate this corner of Kendall Square and create a public plaza. Construction is expected to wrap up later this year. 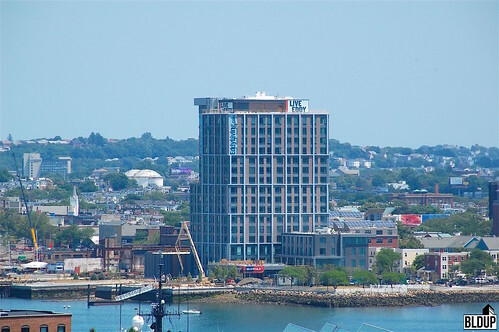 Construction is fast progressing for NEMA Boston, at 399 Congress Street in the Seaport. Window and facade install is nearly complete, showcasing the mix of textures that will cover the 21 story tower. The development will include 414 units, 63 of which will be designated as affordable. NEMA Boston will offer an array of resident amenities housed on the building's top floor. 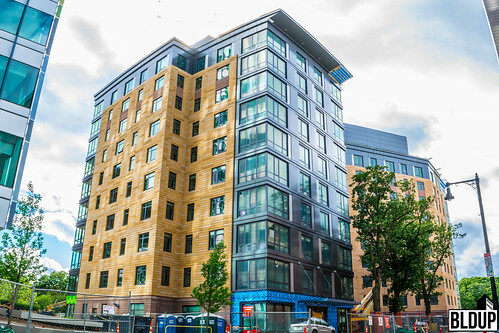 NEMA Boston is expected to welcome its first residents this fall. Trees have been cleared and site work is underway for the upcoming 90,000 square foot hotel to be part of the South Bay Center's redevelopment. The Hilton hotel will feature 130 extended stay rooms and surface parking for 77 cars. The hotel will sit on Parcel E within the development, adjacent to the existing Courtyard Marriott. Construction on the hotel is set to be complete in 2020. Construction is ongoing for the renovation and addition for Children's Hospital at Brookline Place. Completion of fireproofing and metal framing is ongoing for the new eight-story building at Two Brookline Place. Terracotta install is also beginning for the 182,000 square foot building that will feature new medical office space, ambulatory care area, and ground floor retail. Next door at One Brookline Place brick veneer install is moving forward for the 47,000 square foot addition to the existing building. 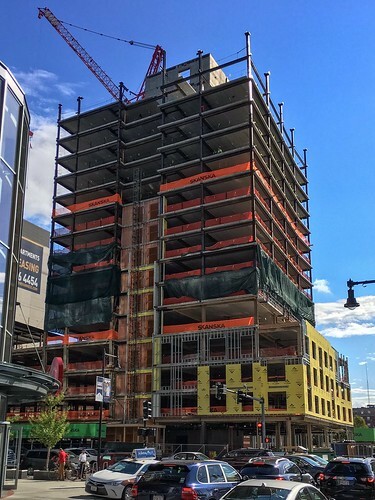 As exterior work continues and framing is rising to full height window install has also started for NEMA Boston, at 399 Congress Street in the Seaport. The 22 story mixed-use building will include 414 apartments along with 2,500 sf of retail, innovation, and lobby space, and parking for 144 cars. The luxury residences will range in size from micro innovation units to three bedrooms. Construction is expected to be complete in Fall 2019. Bulfinch has secured $150 Million in financing for building 400/500 at Cambridge Discovery Park via Citizens Bank. Building 400-500 is the last phase of Bulfinch’s master-planned redevelopment totaling nearly 800,000 square-feet of lab, office, and amenities. Current tenants include Forrester Research’s World Headquarters, The Smithsonian Astrophysical Institution, FogPharma, LifeMine Therapeutics, and Genocea Biosciences, Inc., as well as a brand new 150 room AC Marriot Hotel. Cambridge Discovery Park is a world-class office campus situated on a 27-acre landscaped site in Cambridge, MA. 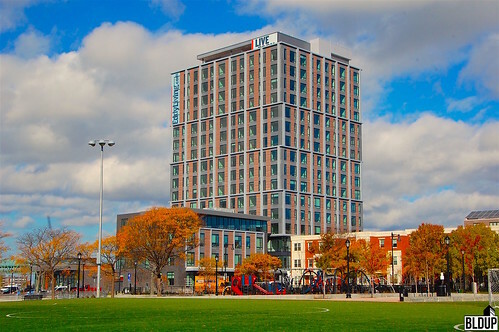 The Park, being the third largest campus in Cambridge (after MIT and Harvard), offers unparalleled convenience to both downtown Boston and Route 128, and delivers an abundance of green space, excellent on-site amenities, and is just steps to the Alewife MBTA stop. Boston Properties has gotten approval to build an 18-story, 387,187 square-foot tower to replace the building at 325 Main Street in Kendall Square. The property currently houses the MIT Coop. office space and a hair salon. The building abuts the Kendall Roof Garden, Kendall Plaza, and the Kendall Red Line T-Station. The building will serve as a new office for the tech giant, Google. Both interior and exterior work is ongoing for the striking 19-story building just outside Kendall Square. When finished in late 2019 all of the office space within the project will be home to Akamai Technologies, a content delivery network and cloud service provider responsible for serving between 15% and 30% of all web traffic. The project is also set to include around 10,000 square feet of active ground floor space for retail and a five-level underground garage. 145 Broadway is the first phase of Boston Properties' planned 1.1 million square foot Kendall Square redevelopment project. Future phases would entail the construction of a 14-story, 318,644 square foot commercial building, a 34-story, 350,000 square foot residential tower, and a 12-story, 71,300 square foot residential building. 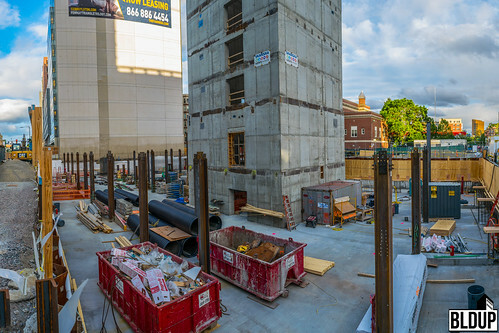 With structural steel in place at One Brookline Place and the penthouse being completed next door at Two Brookline Place, exterior work is now beginning along with rough install of mechanical, electrical, plumbing, and sprinkler systems throughout both buildings. The project will feature a new eight-story, 182,500 sf building (Two Brookline Place) and add a six-story, 47,000 square foot addition to the existing six-story One Brookline Place medical building. The new Two Brookline Place will include a medical office and ambulatory care space on upper floors with retail along the ground floor. 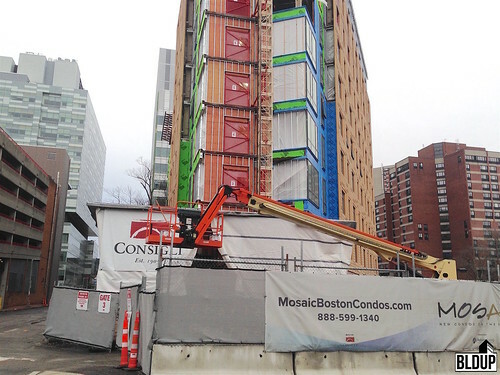 As framing continues exterior work has also begun for NEMA Boston at 399 Congress Street in the Seaport. The new 414 unit luxury building will include a suite of resident amenities housed on the 21st floor with stunning downtown Boston Views. The project will also include around 2,500 sf of retail and a three-level parking garage with 144 spaces. Construction is expected to be complete in Fall 2019. Boston Properties has proposed an 18-story, 387,187 square-foot tower to replace the building at 325 Main Street in Kendall Square. The property currently houses the MIT Coop. office space and a hair salon. The building abuts the Kendall Roof Garden, Kendall Plaza, and the Kendall Red Line T-Station. Should the amendment be approved, 325 Main Street will likely be demolished and completely reconstructed. The project would require changes to zoning and city officials encouraged Boston Properties to improve the design of the buildings and return with an updated proposal at a future meeting. The Andi at South Bay is now leasing as work is wrapping up on the first building (Building D) in the project. The 475 luxury unit complex, located in the new section of the South Bay Center will offer residents a host of amenities including 2 fitness centers, a private courtyard, salt water pool, and co-working space. Units within the project range in size from 450 sf studios to 1400 sf 3 bed/2bath apartments. 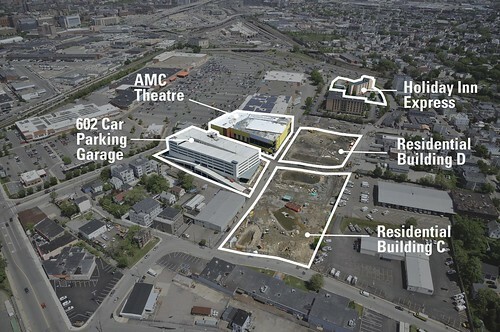 The Andi is a key piece of the new 720,000 square foot mixed-use development that has transformed the 10-acre site at the intersection of Dorchester and South Boston. 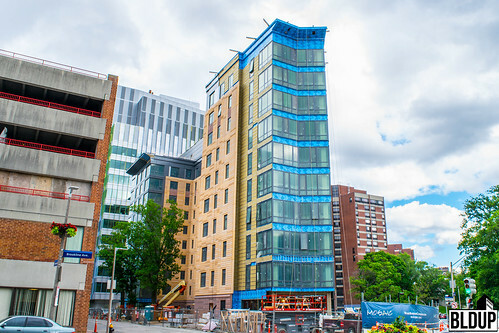 The glass facade is nearing completion on the 19-story tower in Kendall Square which will be home to Akamai Technologies. In total the building will include just over 443,000 sf of office space and 10,000 sf of ground floor retail. A five-story below grade garage will offer car and bike parking for the property. The building is scheduled to be complete in late 2019. The Merc in Waltham has been refinanced by Northland Investment Corporation via New York Life for $96 million. 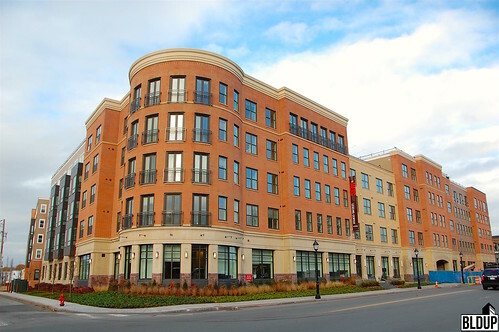 The building containing 269 luxurious apartments is located in downtown Waltham. It features three new buildings with resident amenities including a sky deck with sweeping views, a billiards room, a fitness center, a business center and on-site parking. 27,500 square feet of retail space is located on The Merc's ground floor. 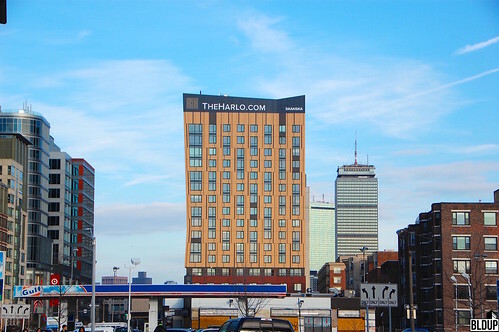 The Merc is steps from multiple dining and entertainment options as well as direct transit service to downtown Boston. Equity Residential has acquired Troy Boston from Oregon-based Gerding Edlen for $216.125 million. The property features 378 apartments with ground-floor retail space in Boston's South End. Troy Boston consists of two buildings—an 11-story mid-rise and a 19-story tower. Apartments range from studio to two-bedroom configurations. Amenities include a rooftop lounge, an outdoor swimming pool, a yoga, and fitness studio and an outdoor dog run area. 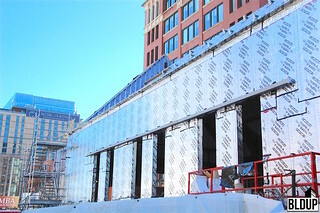 The framing for NEMA Boston, 399 Congress Street, is rising in the Seaport district. The upcoming, 414 unit luxury building will include residences ranging from "micro" innovation units to three-bedrooms. Luxury resident amenities at NEMA Boston will be housed on the 21st floor of the building, framed by stunning views of the Boston skyline. Around 2,500 square feet of retail, innovation and lobby space will be located across NEMA Boston's ground floor. A three-level parking garage will sit underneath the tower containing 144 parking spaces. 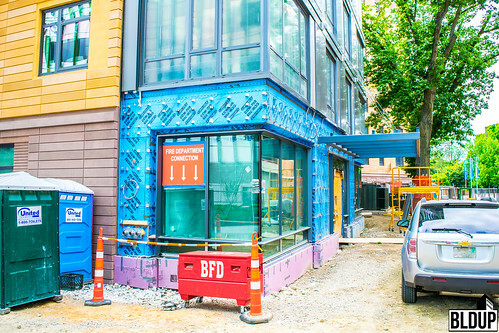 NEMA Boston is set to open in Fall 2019. The 40 Mount Road project will transform an existing hotel into 151 homeownership residential units. The project will be a mix of studios, one, two and three-bedroom residential units, and is located in proximity to the B Branch of the MBTA Green Line. 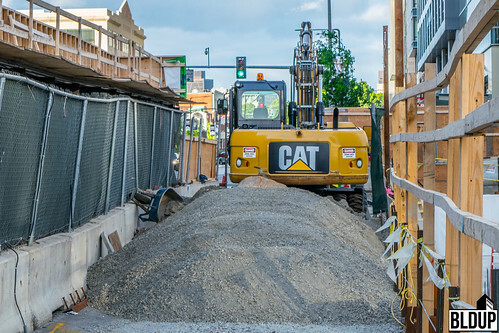 The public realm surrounding the project will be improved with approximately 10,000 square feet of landscaped space lining the property on both Mount Hood and Egremont Roads, creating an active edge along a corridor that connects the residential neighborhood to Commonwealth Avenue. The area will be enhanced for pedestrians with new street furniture, trees, plantings, lighting and path patterning. 40 Mount Hood Road exceeds the required IDP and will have 16 percent of units as income-restricted. This means 24 of the total units will be income-restricted, of which 10 will be made affordable to households earning no more than 80 percent AMI. Included in the project is a robust transportation mitigation package, consisting of $75,000 toward the Allston-Brighton Mobility Study, $20/month per unit for five years for a shuttle service, MBTA, or other transit measure deemed appropriate by BPDA, and the installation of a Blue Bike Station on the project site or in close proximity. The developer will also contribute $75,000 toward public realm improvements along Commonwealth Avenue, including necessary upgrades to the pedestrian signals and accessible ramps at the Commonwealth Avenue and Mount Hood Road intersection. In addition, the developer will contribute $25,000 to the City of Boston's Parks and Recreation. In a meeting held on August 16th, 2018 the BPDA approved the massive, 1.6 million square foot development in the South End along Albany Street. Positive comments regarding the project came from numerous sources including neighborhood associations, unions, and the board itself. The head of the South End Forum, a collection of the various South End neighborhood associations, applauded the development team for their community engagement throughout the past year and no opposition to the project was voiced at the public hearing. The development of the 5.6-acre site will include four new buildings of commercial, technology, and life science space with ground floor retail. The front door to the site will be the 1-acre park, Albany Green. While questions around transportation remain, The Abbey Group hopes to start construction this coming spring, 2019. Among its unmatched amenities, Boston's Life Time Center is the city's ultimate boutique with seven dedicated studios featuring a myriad exclusive fitness and athletic classes led by the best instructors in the area, along with LifeCafe, a full-service, fast-casual restaurant and bar, and LifeSpa, a full service salon and spa providing nine serene and relaxing treatment rooms for massage and facials as well full hair and nail services. "Boston's high-performance lifestyle has met its match with our newest Chestnut Hill location," said Jeff Zwiefel, Life Time chief operating officer. "This extraordinary development allows us to deliver our highest level athletic club, providing Bostonians with their very own luxury athletic-meets-health and wellness destination. With our existing Westwood and Boston MetroWest club in Framingham, we're delivering the ultimate experience for members throughout the area." 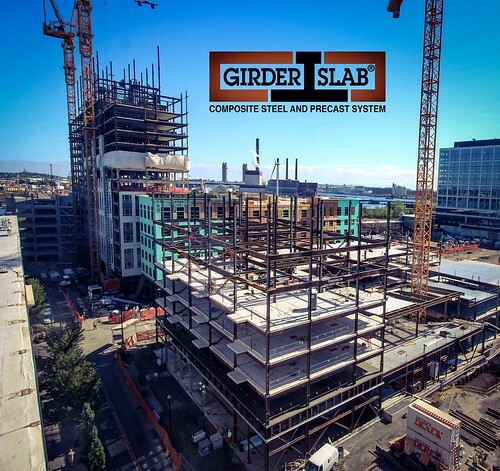 The center opened in 2017 and remained on schedule using Touchplan, a construction software that allows developers to plan, implement, and monitor projects in their entirety. The innovative software gives developers the ability to see the full spectrum of their project down to every last detail. Touchplan has let developers keep their projects on or ahead of time leading to lower costs and more efficient construction. Work continues at South Bay town center as an interior fit-out of 5,000 square feet of space to accommodate a new restaurant is underway. The work includes new mechanicals (electrical, plumbing, HVAC, sprinkler, and fire alarm systems). Additionally, a new kitchen, dining room, interior petitions, and drywall interior finishes are being completed. When complete, the project will include approximately 475 residential units, 120,000 square feet of retail space, a 60,000 square foot cinema and a 130-room hotel. A total of five new buildings will be built. South Bay Town Center will be pedestrian-oriented, with active ground-floor uses and open spaces. Phase II underway at Brookline Place as a temporary surface parking lot, which supplied parking for the existing six-story One Brookline Place medical office building during the garage’s construction, is now being razed to make way for Two Brookline Place. Two Brookline place is an upcoming eight-story, 182,500 square-foot building, that will feature medical office and ambulatory care space, as well as ground-floor retail. Also, underway is a six-story, 47,000 square foot addition to One Brookline Place. With the Exchange South End proposal under board review, the $600 million commercial development is still aiming to begin construction in the fall of 2018. The development would transform 5.6 acres of South End real estate into a massive mixed-use opportunity for the neighborhood. The nearly 1.6 million square foot project would include four new buildings featuring approximately 1,481,350 square feet of commercial, technology, and life science research space with 42,500 square feet of ground-floor retail space and 30,000 square feet of civic and incubator space oriented about a new public park. Over one acre of new pedestrian-friendly public open space, known as Albany Green, would be constructed on site. Exchange South End would host 4,000 to 7,000 new jobs, and represent a total investment of over $1 billion in the South End neighborhood. Work to install the glass facade at 145 Broadway in Cambridge continues. The 19 story building located in the heart of Kendall Square will be home to Akamai Technologies, who have already leased all of the office space at the site. The project is expected to be complete in late 2019. 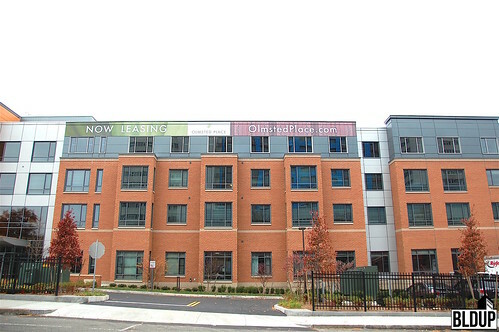 Callahan Construction Managers has completed Montaje for Federal Realty Investment Trust. The 768,000-square-foot luxury apartment and retail development, located at the heart of Assembly Row in Somerville, features a landmark 20-story, 236-foot-tall tower and a 77-foot-tall, six-story, wood framed building. Designed by Stantec, Montaje features 447 studio, one-bedroom, two-bedroom and three-bedroom residences that are outfitted with luxurious finishes, including quartz countertops and stainless steel appliances. 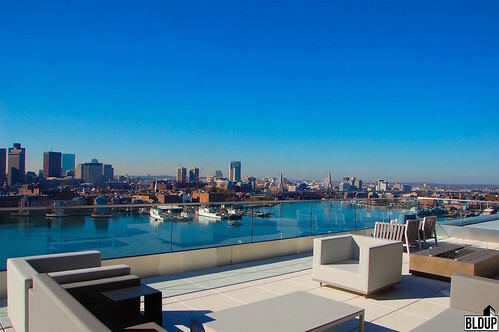 At Montaje’s summit is a top-floor Sky Lounge featuring striking views of Boston and the nearby Mystic River. The Sky Lounge includes an outdoor roof deck, a chef’s kitchen, a dining area and a media/living room. A second, lower level courtyard features grilling stations, a bocce court and an outdoor fireplace. 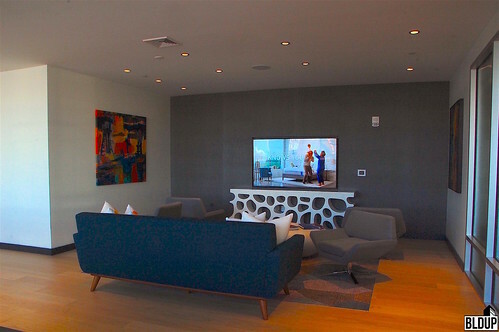 Additional Montaje amenities include a resort-style swimming pool, a fitness center with a yoga studio, artist space, a resident lounge featuring a billiards table and a meeting room. 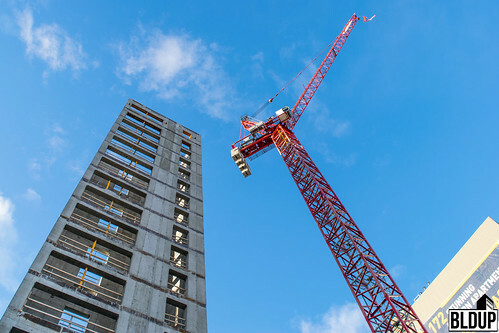 A seven-story precast parking garage with space for 650 cars has also been constructed on site. On Montaje’s ground floor is 40,000 square feet of retail, home to multiple shops, restaurants and bars including MidiCi Pizza, Ann Taylor Factory Shop, Yankee Candle, Fragrance Outlet, Columbia Sportswear Company, Mass General Hospital and American Fresh Brewhouse. Montaje is located next to the Assembly MBTA Orange Line station and minutes from Interstate 93, offering a short commute to Downtown Boston and Cambridge by transit or car. The proposed development for 5 Washington Street in Brighton has received approval. The project will bring a five-story residential building with 108 rental units and 12,500 square feet of ground-floor retail. In response to community feedback, the project increased the proposed number of affordable units. Eighteen units will be income-restricted, represented 16.4 percent of the total project. The project will set aside 1,000 square feet of retail for a local business at a discounted rate. New York-based, Ares Management, has acquired the development site for $25 million. The approved seven-story, 250,000 square foot research and development (R&D) office building that will be located on a 42,219 square foot site in South Boston across from A Street Park steps to the Channel Center development and the Broadway MBTA Red Line station. The building will contain office, research, and development space, as well as ground-floor retail fronting West First Street, community-shared work or technology incubator space fronting West Second Street, convener space, and tenant amenities. A roof deck will be located on the building's top floor. Exterior framing and drywall are going up at South Bay Town Center as they aim for a summer 2018 opening. The project will include approximately 475 residential units, 120,000 square feet of retail space, a 60,000 square foot cinema and a 130-room hotel. A total of five new buildings will be built. South Bay Town Center will be pedestrian-oriented, with active ground-floor uses and open spaces. 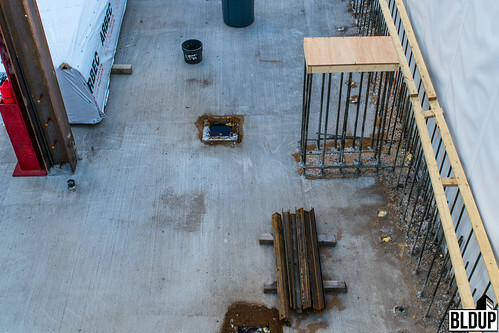 Rebar and plumbing placement ongoing on upcoming 22-story mixed-use tower featuring 414 apartment residences ranging from innovation units to three-bedrooms. Additional work to include mud mat and foundation slab pours. On Thursday, March 15th at 545 Medford St, Charlestown, Massachusetts at 6 PM there will be a public council hearing regarding the development of One Charlestown. The proposed $1 billion development, is a 3.3 million square foot redevelopment of the existing 27.6-acre, 1,100-unit Bunker Hill public housing project into 3,200 mixed-income residential units with a neighborhood retail component. All 42 existing Bunker Hill housing buildings, dating to 1941, would be demolished and replaced with new buildings consisting of apartment and duplex unit formats. Visit OneCharlestown.com for more information. Updated renderings of Exchange South End from Stantec, the architectural firm on the project. The $600 million commercial development is aiming to begin construction in the fall of 2018, transforming 5.6 acres of South End real estate into a massive mixed-use opportunity for the neighborhood. A newly proposed development would replace the existing Hotel Boston motel at 40 Mount Hood Road in Brighton with 178 residences. The proposed five-to-seven-story building, which would be located just off of Commonwealth Avenue steps from the MBTA Green Line, would contain 64 apartments and 114 condominiums. Amenities would include lounges, fitness space and an outdoor courtyard with a pool. 142 garage parking spaces would be located on site, including 114 for condominiums and 28 for apartments. Construction of the 40 Mount Hood Road development is expected to start in Spring 2019 and last approximately 24 months. Proponent 1650 Commonwealth LLC has filed plans for 40 Mount Hood Road with the City of Boston, who is now reviewing the proposed development. Fortis Property Group has revealed renderings of its' proposed addition of 195 condominium residences atop the existing Dock Square parking garage overlooking the Rose Kennedy Greenway. The spiral-shaped, glass-enclosed addition would be 10 stories tall, and would expand the garage to 17 stories and 209 feet tall as well as 535,000 square feet in size. As part of the proposed redevelopment, the Dock Square Garage would be re-cladded with a modern facade. Parking capacity would be reduced slightly from 698 spaces to 682, and restaurant space would be reduced from approximately 15,000 square feet to approximately 8,000 to accommodate a new residential lobby. Fortis aims to start construction of the proposed redevelopment in the second quarter of 2019. Completion is expected in the second quarter of 2021. Fortis has filed plans for the proposed redevelopment with the City of Boston, who is now reviewing the plans. The latest renderings of the proposed redevelopment are posted above. Malden Center is set to receive new creative office and data center space with the upcoming repositioning of a four-story, 315,000-square-foot former bank building located at 200 Exchange Street, steps from the MBTA Orange Line. Dubbed Exchange 200, the repositioned building will feature 200,000 square feet of flexible commercial space, as well as 60,000 square feet of energy-efficient data center space including 25,000 square feet of critical operation space. “The redevelopment of Exchange 200 will preserve [the building’s existing data center] infrastructure while installing and incorporating modern design features to enhance the interior and exterior of the property,” said Young Park, President of project developer Berkeley Investments, in a prepared statement. New features will be added to the building including glass curtain wall along the facade, a high-ceilinged lobby and new common spaces. Along Exchange 200’s ground floor will be over 16,000 square feet of ground-floor restaurant and retail space, further enhancing Malden Center’s growing street-level experience. Space at Exchange 200 is now available for lease, presenting a convenient and affordable alternative to Boston and Cambridge. The proponents of Allston Yards, the proposed 1.9-million-square-foot redevelopment of the 11-acre Stop & Shop supermarket property located next to Boston Landing in Allston, have revealed preliminary project plans. Developed by Stop & Shop and New England Development in partnership with The Bozzuto Group and Southside Investment Partners, the project as proposed would consist of four buildings constructed across several phases and feature up to 1,050 apartment and condominium residences, 300,000 square feet of Class-A office space, 50,000 square feet of restaurant/retail space and a new 67,000-square-foot flagship Stop & Shop supermarket. 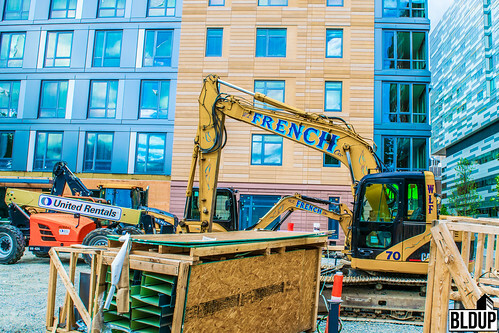 The first phase of Allston Yards would contain 360 apartment residences with ground-floor retail and the flagship supermarket, and is expected to start construction in the second quarter of 2019. The current supermarket would remain open throughout Phase One, which would also construct a a 24,000-square-foot community green with a restaurant. The proponents have filed plans for Allston Yards with the City of Boston, who is now reviewing the project. The latest project renderings are posted above. Millennium Partners, Asian Community Development Corporation (CDC), Corcoran Jennison Companies and Tufts Shared Services propose to construct a 31-story, $174 million tower at 286-290 Tremont Street in Chinatown, replacing a City-owned surface parking lot. 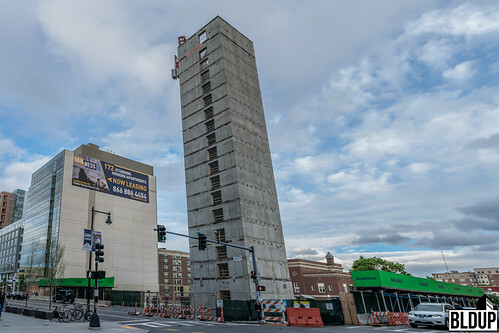 The tower would contain 171 affordable apartment and condominium residences, a 140-room expansion of the adjacent Doubletree Hotel, a 264-space expansion of the adjacent Tufts Shared Services parking garage and 8,000 square feet of ground-floor community space. The four proponents were the only respondents to a City request for proposals (RFP) to develop the parcel. Residences would include 45 apartments and 126 condominiums, and would represent Millennium’s affordable housing contribution for the upcoming 115 Winthrop Square tower. Corcoran Jennison owns the adjacent hotel, and Tufts owns the adjacent parking garage. 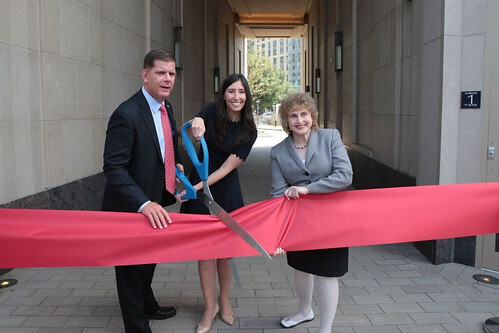 Asian CDC recently completed the 21-story One Greenway mixed-income housing tower in partnership with New Boston Fund. The proposed tower’s ground floor could contain a new Chinatown branch for the Boston Public Library. New outdoor public space would be constructed at the tower’s ground floor as well. The City of Boston is now reviewing the proponents’ proposal which, if officially selected, would require additional design review. The proponents hope to begin construction of the tower in December 2018, with completion expected in December 2020. The proposed 5 Washington Street mixed-use development, located at the Brighton-Brookline line, would break ground in the fourth quarter of 2018 per newly revealed project plans. The proposed building would contain 115 apartment residences including studios, one-bedrooms, two-bedrooms and three-bedrooms, ranging from 558 to 1,111 square feet in size. 12,500 square feet of retail space would be located on the building’s ground floor, potentially including a pharmacy as well as approximately 1,000 square feet designated as local retail leased at a discounted rate with flexible lease terms in order to support new business creation. 104 vehicle parking spaces would be located on site, primarily within a below-grade parking garage. As part of the project, a new public ground-level landscaped open space with seating would be created. Construction of the proposed building would take approximately 18 months, with completion expected by Summer 2019. The project’s proponent, KIG Real Estate Advisors, has filed plans for the proposed building with the Boston Planning & Development Agency (BPDA), who is now reviewing the project. Fortis Property Group, who acquired the six-story, 698-space Dock Square Garage in Downtown Boston for $170 million in September 2017, proposes to construct an “upward-spiraling” addition above the garage containing 195 residential units. Fortis has not yet disclosed whether units would be apartments or condominiums; 25 units would be designated affordable. The spiral-shaped addition would be nine stories high, increasing the garage’s height to 194 feet. As part of the project, the existing garage would be re-cladded. 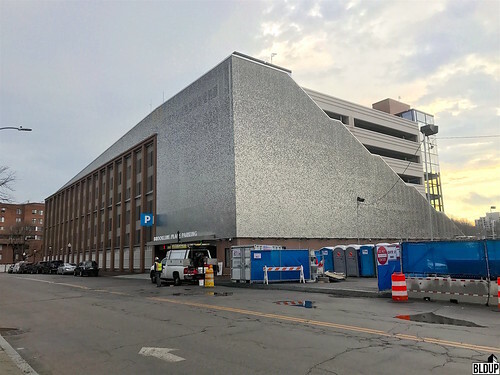 Renderings of the proposed addition have not yet been revealed; with the addition, the garage’s total parking capacity would be reduced to 538 spaces. The garage also contains 16,100 square feet of ground-floor retail home to Hard Rock Cafe. Fortis has filed a Letter of Intent (LOI) with the Boston Planning & Development Agency (BPDA) formally proposing the project and will reveal additional plans in the coming months. KIG Real Estate Advisors proposes to construct a five-story building containing 115 apartment residences and 12,500 square feet of ground-floor retail space at 5 Washington Street in Brighton, steps from the Brookline line. The building would be located across from the Brighton Whole Foods Market and contain studio to three-bedroom residences. KIG’s proposed development replaces a previous 2014 proposal by Urban Spaces, which would have constructed 145 apartment residences above ground-floor retail that could have included a pharmacy. KIG is a newly formed real estate development firm led by Justin Krebs, who was President of Trans National Properties until Fall 2016 and formerly a partner at Normandy Real Estate Partners. Krebs and KIG continue to work on behalf of Trans National to develop 2 Charlesgate West, a proposed $250 million, 29-story tower containing residences, offices and retail in the Fenway. KIG has filed a Letter of Intent (LOI) formally proposing the 5 Washington Street development with the Boston Planning & Development Agency (BPDA), starting the project’s official review process. Additional details and renderings will be revealed in a Project Notification Form (PNF) filing in the coming months. Prudential has paid $144.5 million to acquire the 217 market-rate apartments at the new-construction, 21-story One Greenway tower in Chinatown. Prudential’s acquisition amounts to nearly $666,000 per apartment; market-rate apartments at One Greenway, which opened in Fall 2015, range from 486-square-foot studios to 1,618-square-foot three-bedrooms. HFF represented One Greenway developers New Boston Fund and Asian Community Development Corporation in the deal and procured Prudential as the buyer. HFF also arranged $114.7 million in financing for the $150 million Phase I One Greenway development, including a $104 million construction loan through PNC Bank, People’s United Bank and Boston Private Bank & Trust and a $10.7 million equity investment from National Real Estate Advisors, in Fall 2013 upon the project’s groundbreaking. Prudential’s acquisition does not include 66 Hudson Street, an adjacent 10-story mid-rise that was part of Phase I home to 95 affordable apartments, or 88 Hudson Street, a 50-unit affordable condominium building currently under construction that entails Phase II of One Greenway. Phase I of One Greenway also includes 3,300 square feet of retail, with tenants including East Boston Savings Bank, and 5,000 square feet of community space. Boston Global Investors has sold 55 Seaport Boulevard, a new-construction 13,550-square-foot office building in the Seaport District home to the firm's headquarters, to Zurich Alternative Asset Management for $23.5 million. The sale amounts to approximately $1,734 per square foot, topping the $1,027 per square foot paid by Union Investment in April 2016 to acquire the 440,000-square-foot 101 Seaport and setting the new record for most expensive price per square foot sale of a Seaport District office building. 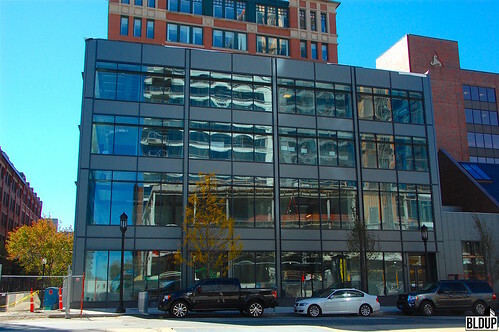 55 Seaport Boulevard features approximately 7,175 square feet of office space, occupied by Boston Global Investors, and approximately 6,375 square feet of retail space, occupied by CapitalOne. Boston Global Investors listed 55 Seaport Boulevard for sale in October 2016 through Newmark Knight Frank. The building was completed in Fall 2016. The Boston Development & Planning Agency (BPDA) is seeking development proposals for the 0.67-acre City-owned parcel at 290 Tremont Street in Chinatown, aiming to create a mixed-use development up to 360 feet tall with housing for a range of incomes. Any development would be required to have a housing component, of which at least 50% would need to be designated affordable. Rental units would need to target households earning 30-60% of the area median income (AMI), and condominiums would need to target households earning 60-100% of AMI, not averaging more than 80%. The BPDA is offering the parcel through a long-term ground lease. Buildings would be limited to a height of 360 feet and a floor area ratio (FAR) of 20. Boston Global Investors will reportedly sell its' newly built 13,500-square-foot headquarters building at 55 Seaport Boulevard in the Seaport District to Zurich Alternative Asset Management for almost $23 million. Per a report by The Real Reporter, the building’s location, combined with its' triple-net leases with a weighted-average lease term of almost 10 years, created intense competition for the building. The sale, which has yet to close, would top $1,700 per square foot, higher than the record $1,027 per square foot Union Investment paid in April 2016 to acquire the 440,000-square-foot 101 Seaport office and retail building in the Seaport District. 101 Seaport's sale price was $452 million; the transaction currently holds the title of most expensive price per square foot sale of a Seaport District office building. 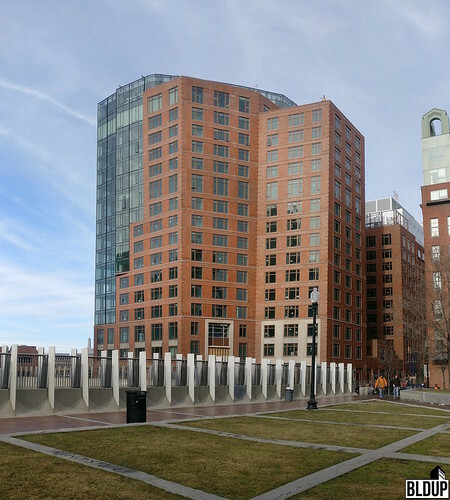 Tenants at 55 Seaport Boulevard include CapitalOne, who has leased the building's 6,375-square-foot retail space for 15 years, and Boston Global Investors, whose headquarters occupies the building's 7,175 square feet of office space. CapitalOne is reportedly paying above $133 per square foot in rent; Boston Global Investors is reportedly on a five-year pact averaging $40 per square foot. Boston Global Investors listed 55 Seaport Boulevard for sale in October 2016 through Newmark Knight Frank. The building was completed in Fall 2016. Fortis Property Group of New York has acquired the six-story, 264,462-square-foot Dock Square parking garage, situated on 1.2 acres steps from Faneuil Hall, for $170 million. The sale amounts to nearly $643 per square foot. MetLife Real Estate Investors provided $110 million in financing towards Fortis' acquisition. The Dock Square Garage's seller is Sullivan Properties, who originally developed the garage in 1980. The garage contains 698 parking spaces and 16,100 square feet of ground-floor retail. Existing zoning for the garage site would allow up to 125 feet of height, roughly 12 stories, on the parcel, allowing for the addition of new office or residential floors above the existing garage. The Abbey Group has revealed its’ plans to redevelop the 5.6-acre Boston Flower Exchange site in the South End into Exchange South End, a commercial, technology, and life science research hub totaling nearly 1.6 million square feet. Pegged at $600 million and representing an over $1 billion total investment in the South End neighborhood, The Abbey Group’s proposed development would feature four new buildings up to 20 stories and 282 feet tall, featuring 1,481,350 square feet of commercial space in addition to 42,500 square feet of ground-floor retail space and 30,000 square feet of civic and incubator space. Over one acre of public open space would be constructed at Exchange South End. 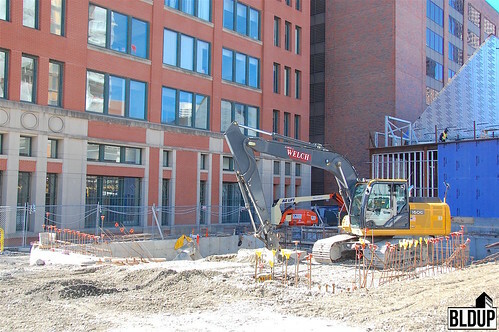 Construction of the Exchange South End’s first phase, which would construct two buildings, would start in Fall 2018 and last approximately two years. Additional buildings would be constructed based upon demand. The Abbey Group has filed plans for Exchange South End with the Boston Planning & Development Agency (BPDA), who is now reviewing the proposed project. Edens, developer of the $200 million, 720,000-square-foot South Bay Town Center project in Dorchester, has acquired the 0.2-acre site of the Lenox Junk Company, located at the future gateway to South Bay Town Center, for $3.6 million. The parcel, located at 1170 Massachusetts Avenue at the corner of Allstate Road, presents an unprecedented opportunity for Edens to construct an engaging, appropriate gateway for South Bay Town Center, a pedestrian-oriented development which will feature approximately 475 residential units, 120,000 square feet of retail space, a 60,000 square foot cinema and a 130-room hotel. 1170 Massachusetts Avenue’s seller is Core Investments, who acquired the site for $900,000 in May 2013. Core Investments is currently developing the nearby $400 million, 735,000-square-foot Washington Village mixed-use development in South Boston’s Andrew Square. The 286,000-square-foot Life Time Center health, wellness and medical development in Chestnut Hill, which opened in June, is now 100%-leased with Newton-Wellesley Hospital's lease of 6,185 square feet. Newton-Wellesley Hospital joins tenants Life Time Athletic, who opened a 129,000-square-foot fitness center at Life Time Center in June, and Dana-Farber Cancer Institute, who will open a 140,000-square-feet medical care facility at Life Time Center in late 2019. “We are thrilled to have Newton-Wellesley Hospital select Life Time Center,” said Michael Wilcox, Senior Vice President and Director of Leasing at Life Time Center developer The Bulfinch Companies, in a prepared statement. “Newton-Wellesley Hospital’s lease reinforces our vision of establishing the premier medical and wellness facility in Greater Boston.” Life Time Center is prominently situated on Route 9, a short drive or transit ride to the Longwood Medical Area and Downtown Boston. The building features large efficient floor plates, a sunlit atrium and over 1,000 garage parking spaces. Private shuttle service is provided to the Chestnut Hill MBTA Green Line station. 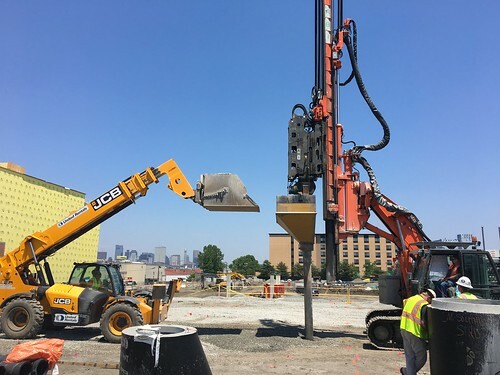 Helical Drilling has completed ground improvement at the 720,000-square-foot South Bay Town Center mixed-use development in Dorchester. Ground improvement was necessitated by South Bay's geotechnical composition of unstable urban fill, including up to 15 feet of loose-to-medium dense granular fill with ash, slag, cinders, and brick underlain by up to 10 feet of soft organic silt and followed by medium dense sand and gravel. In order to strengthen the soil, Helical Drilling installed Geopier® Rammed Aggregate Pier® Elements (RAPs), providing both spread footing support and slab-on-grade support. GeoConcrete® Column Rigid Inclusions (GCCs) were used in areas with thicker organic deposits and high footing bearing pressures. 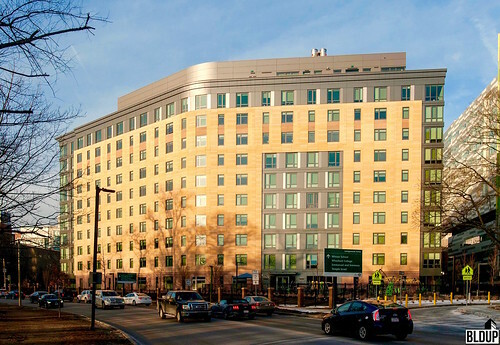 Residential real estate developer and investor Bell Partners has acquired the 196-unit Olmsted Place luxury apartments in Jamaica Plain, which opened in Fall 2015, from developers Boston Residential Group (BRG) and Carlyle Realty for $103.25 million in cash. The sale amounts to $526,785.71 per apartment. Olmsted Place overlooks the scenic, Frederick Law Olmsted-designed Emerald Necklace parklands and features desirable amenities including an outdoor pool deck, a tree-lined terrace, a fitness center and a resident lounge. BRG and Carlyle acquired the Olmsted Place site, located at 161 South Huntington Avenue, for $10,127,857 in December 2013 and proceeded to develop the $84 million Olmsted Place apartment community. A 55,000-square-foot complex home to The Home for Little Wanderers formerly stood on the site. Olmsted Place is located steps from the MBTA Green Line and the Longwood Medical Area, a short drive or train ride to Downtown Boston. Preparations for foundation work are now underway at the future site of the 22-story 399 Congress mixed-use tower in the Seaport District, which will feature 414 apartment residences and approximately 12,000 square feet of ground-floor retail, innovation and lobby space. 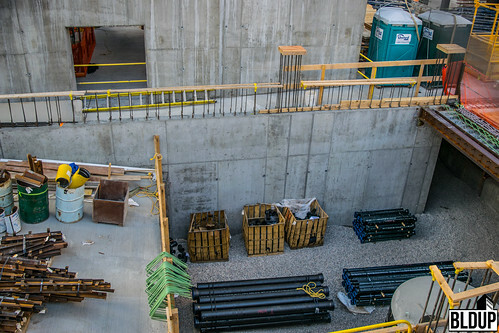 Foundation work, including excavation of the building’s three-level, 144-space underground parking garage, is scheduled to last through next April, at which point structural frame construction will begin. 399 Congress' facade will feature a mix of dark and light grey metal panels with glass curtain wall, as opposed to the originally-proposed tan finish panels; the latest 399 Congress rendering is posted above. The building will be located across from the $900 million, 1.3-million-square-foot Echelon Seaport mixed-use development, which broke ground last month, and steps from the $157 million, 325,000-square-foot Waterside Place Phase 1B mixed-use development, which is expected to start construction this year. Developer Crescent Heights acquired the 0.7-acre 399 Congress Street site for $36 million in January 2016. Crescent Heights recently closed on $157 million of construction financing for 399 Congress provided by The Union Labor Life Insurance Company. QMG Huntington LLC proposes to construct an iconic 32-story, 405,500-square-foot mixed-use tower at the 0.76-acre Huntington Theater site in the Fenway, creating new residential and retail space while expanding and preserving the Huntington Theater Company (HTC)’s existing 890-seat, 35,654-square-foot theater. The theater would be gifted to HTC, allowing the company to keep its’ prime location on Boston’s Avenue of the Arts for the foreseeable future. 14,000 square feet of new theater space would be constructed across the first two floors of the proposed tower; the space, which would be leased to HTC at a nominal rent, would be connected to the existing theater and would include a new accessible entrance. The proposed tower would serve as a symbol of pride for the Avenue of the Arts, with a facade inspired by Greek drama masks. The tower would feature 426 studio, one- and two-bedroom apartment residences and approximately 7,500 square feet of retail and restaurant space across the first and second floors. QMG aims to start construction of the proposed project in the fourth quarter of 2018; construction would last approximately 26 months. A Project Notification Form (PNF) formally proposing the project has been filed with the Boston Planning & Development Agency (BPDA), who is now reviewing the proposed project plans. Dana-Farber Cancer Institute has leased 140,000 square feet of space at the new 286,000-square-foot Life Time Center health and wellness development in Chestnut Hill, also home to a 129,000-square-foot Life Time Fitness location, bringing the building to over 95%-leased. 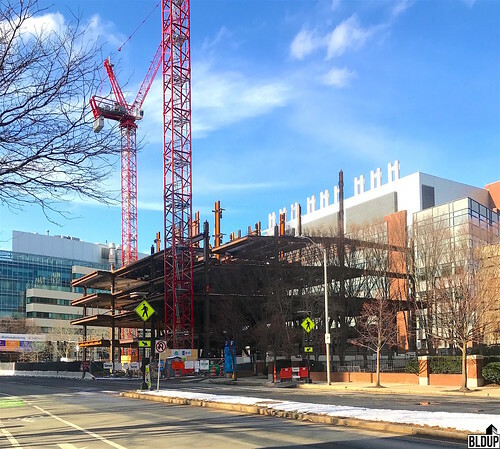 Dana-Farber’s long-term lease totals two floors; Dana-Farber's new location will open in late 2019, serving as an extension of the Institute’s main campus in the Longwood Medical Area. The facility will provide clinical trials and patient care, including exams, infusions, and supportive services to newly diagnosed adult cancer patients, as well as follow-up and survivorship care. Life Time Center officially opened on June 1st, with the grand opening of Life Time Fitness. The property is prominently situated on Route 9, located at the gateway to Chestnut Hill, a short shuttle ride from the MBTA Green Line. 105 West First Street, a new seven-story, 250,000-square-foot research and development (R&D) office building located in South Boston steps to Broadway Station, was approved at last night (June 15th, 2017)’s Boston Planning & Development Agency (BPDA) Board Meeting. In addition to office space, 105 West First Street will feature 1,600 square feet of ground-floor retail, 2,400 square feet of convener space, 10,000 square feet of innovation space and 3,000 square feet of tenant amenity space. 105 West First Street will require additional approval by the City of Boston’s Zoning Board of Appeals (ZBA) in order to proceed with construction. Construction of 105 West First Street is subject to finalization of necessary financing and leasing commitments. The Dock Square Garage, a six-story, 264,462-square-foot parking structure standing on 1.2 acres of land overlooking the Rose Kennedy Greenway with transformative development potential, has been listed for sale. The property, which is located steps from Government Center and the 2.9-million-square-foot Bulfinch Crossing mixed-use development, could fetch $160 million per Banker & Tradesman, which would amount to $606 per building square foot and $133,333,333 million per acre. Existing zoning would allow up to 125 feet of height, roughly 12 stories, on the parcel, allowing for the addition of new office or residential floors above the existing garage, which was built in 1980 and renovated in 2007, or construction of a large new building. The Dock Square Garage's seller is Sullivan Properties, the building's original developer and longtime owner. Life Time Fitness’ new 129,000-square-foot club at the newly built 286,000-square-foot Life Time Center health, wellness and medical development in Chestnut Hill opens its’ doors this morning. Dubbed Life Time Athletic Chestnut Hill, the club is Life Time Fitness’ first Diamond Premier location and features seven dedicated studios; LifeCafe, a full-service, fast casual restaurant and bar; and LifeSpa, a full-service salon and spa with nine serene and relaxing treatment rooms. LifeSpa will provide massages, facials and full hair and nail services. Classes at the club will include AMP, EDG and PWR cycle, Strike and TCX group fitness, barre and Pilates, in addition to an entire Yoga portfolio. Life Time Athletic Chestnut Hill is the first opening at Life Time Center and will have access to exclusive in-house amenities, including LT Proactive Care/Chestnut Hill Medical, a medical practice, and LT Proactive Care/Chestnut Hill Physical Therapy and Chiropractic, a physical therapy center. The club will also include 26,000 square feet of functional and TEAM training space, including Life Time's exclusive Burn, Cut, Bootcamp and Alpha Training program. A Kids Academy will be dedicated to building a healthy foundation for children aged 3 months to 12 years, with classes and programming including Life Skills, Mind and Body, Fitness and Agility, Language, Arts and Culture. 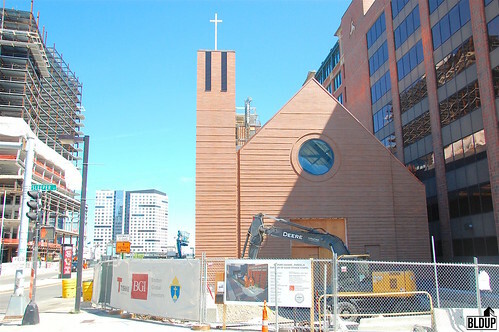 The Archdiocese of Boston and WS Development have swapped ownership of the old and new Our Lady of Good Voyage Chapels in the Seaport District, allowing for development of the old chapel site on Northern Avenue and ensuring the chapel’s continued presence in the Seaport District with the newly completed Seaport Boulevard house of worship. The swap represents a total investment of nearly $25 million in the Seaport District. WS Development acquired the 0.85-acre Northern Avenue site from the Archdiocese for $17,952,490, or $21,120,576.50 per acre. 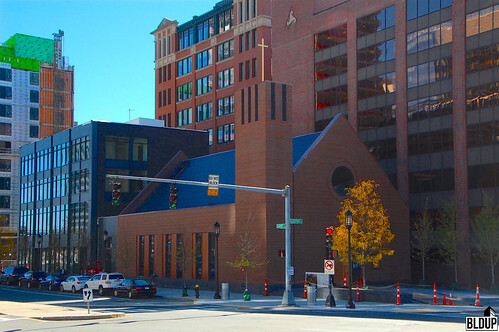 The Northern Avenue chapel will be demolished in the coming months to make way for a 499,400 square foot mixed-use building featuring 425,000 square feet of office/research space atop 69,400 square feet of retail, 4,000 square feet of cultural/educational space and underground parking. The Archdiocese acquired the 6,200 square foot new chapel from WS Development for $6,952,490, or $1,121.37 per square foot. The new chapel will officially open this Sunday (April 23rd, 2017). Developers Ares Management and CV Properties have revised the proposed 105 West First Street office development in South Boston in response to community feedback. 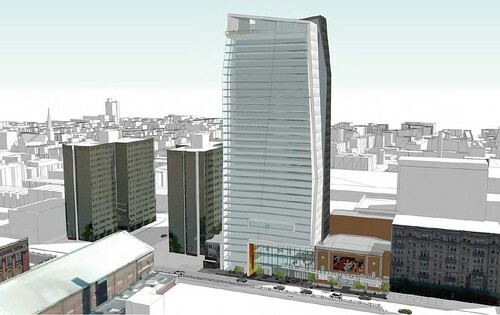 The proposed building’s height has been reduced from 8 stories to 7; as a result, total proposed square footage has been reduced by 15,000 square feet to approximately 250,000 total gross square feet, and height has been reduced to 102 feet high at West First Street and approximately 90 feet high at West Second Street. For comparison, the adjacent Channel Center Garage is 102 feet high. 105 West First Street's proposed entrance along West Second Street has also been altered to have more of “a sense of presence,” mirroring the entrance to the adjacent Artists For Humanity building. Updated renderings of the proposed 105 West First Street are posted above. The developers would also financially support a community request to add a pedestrian-only cycle to the nearby intersection of West Broadway & A Street, and improve signage and crosswalk striping at the nearby intersection of West Second Street & B Street. The new Our Lady of Good Voyage Chapel in the Seaport District is finished and will open this month on St. George’s Day (Sunday, April 23rd). 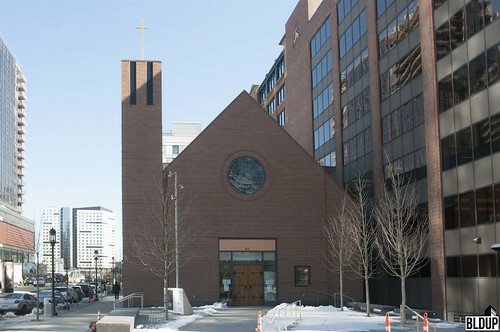 The new 250-seat chapel, located at 51 Seaport Boulevard, will replace the current chapel on Seaport Square Block D, freeing the approximately 0.85-acre parcel for development and ensuring the presence of a place of worship in the Seaport District for years to come. Following the new chapel’s opening, the former chapel will be demolished to make way for future development. The most recent preliminary development plans for Block D, detailed in proponent WS Development’s Notice of Project Change (NPC) for Seaport Square submitted to the Boston Planning & Development Agency (BPDA) in February 2017, call for a 499,400 square foot mixed-use building featuring 425,000 square feet of office/research space atop 69,400 square feet of retail, 4,000 square feet of cultural/educational space and underground parking. In conjunction with Block D’s development, a new head house for the Silver Line rapid transit service will be constructed at the corner of Seaport Boulevard and Seaport Common with direct visual and pedestrian access to Boston Harbor, promoting public access to the waterfront. 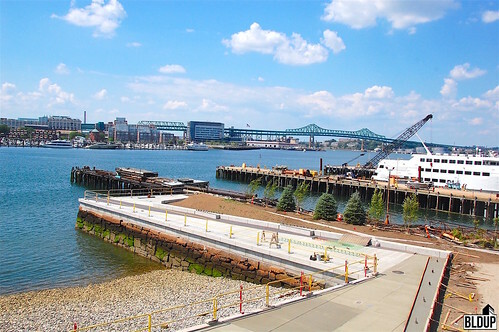 A new street connecting Seaport Boulevard and Northern Avenue, Pier Street, will also be constructed. Completion of the Block D development is expected in 2020. Detailed plans and renderings for this development have not yet been revealed. Developer The Abbey Group has unveiled preliminary development plans for the 5.5-acre Boston Flower Exchange site in the South End. 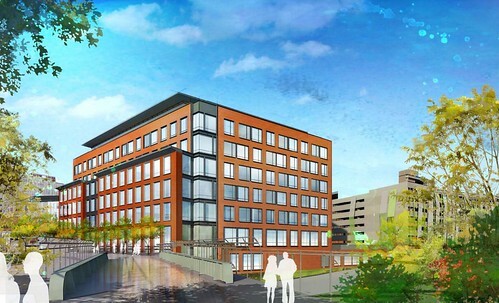 Per a Boston Globe report, The Abbey Group presented a vision for four lab and office buildings with ground-floor retail and restaurant space oriented about "Albany Green", a 1-acre "European [public] plaza", at a Wednesday night community meeting this week; a newly revealed rendering is posted above. The Boston Flower Exchange project, which would total approximately 1.6 million square feet and rise about 200 feet, would also construct a new cultural center and improve the nearby South Bay Harbor Trail. “We want to extend public space across the entire ground floor of the project”, said Abbey Group Managing Partner Bill Keravuori. The Abbey Group has not yet filed plans for the project with the Boston Planning & Development Agency (BPDA). Interior fit out of Reel House, the upcoming 5,000 square foot waterfront seafood restaurant at The Eddy in East Boston, is nearly complete in advance of Reel House’s opening this Spring. Reel House will serve a “globally coastal seafood menu” and will feature a dining area with seating for over 200 people, two mahogany bars and a large outdoor patio. 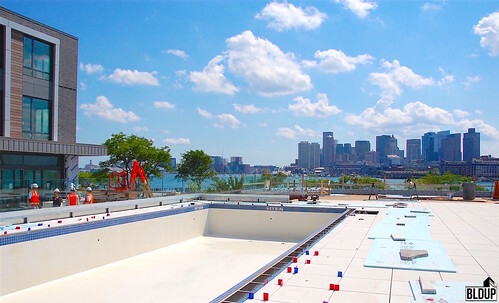 Sweeping views of the Boston skyline will be visible throughout the Reel House space. 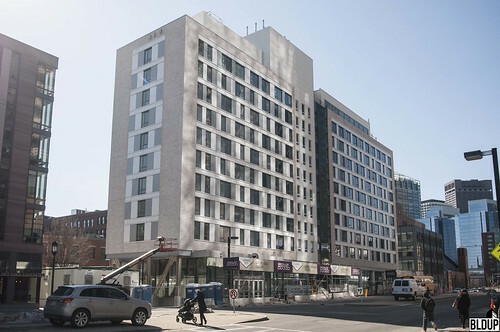 The brand-new Yotel Boston hotel in the heart of the Seaport District is now taking room reservations beginning August 1st ahead of the hotel's anticipated summer opening. Additionally, the Yotel Boston team has announced that "craft cocktails, local beer [and] fabulous wines" will be served at the hotel's 12th floor Sky Lounge and Rooftop Terrace, which will be open year round to both guests and the public. "Rooftop wellness classes, live music and arts collaborations" will also be offered on the 12th floor. New renderings of Yotel Boston's interior amenities have been revealed; these renderings are posted above. Stop & Shop has released a new rendering of what the 1.9 million square foot Allston Yards development, which will replace the grocery chain’s existing Allston supermarket, would look like. This rendering is posted above. The rendering shows a modern, distinctive 2-story supermarket building topped off with what appear to be large skylights. Surrounding Stop & Shop’s new supermarket are multiple multi-story buildings which appear to rise as high as 16 stories. Stop & Shop has not yet filed a Project Notification Form (PNF) with the Boston Planning & Development Agency (BPDA). The PNF, which is expected to be filed within the coming months, will include a timeline and detailed plans for the project. Stop & Shop has filed an official Letter of Intent (LOI) with the City of Boston to construct Allston Yards, a mixed-use redevelopment of the existing 11-acre Allston Stop & Shop supermarket property. Per the LOI, Stop & Shop would construct a total of 1,010 residential units along with retail, Class A office space and open public space across two phases. A new Stop & Shop supermarket would be constructed as part of the project’s first phase, allowing the supermarket to remain open throughout construction. Allston Yards will be located adjacent to upcoming Boston Landing commuter rail station, which is expected to open this May. Stop & Shop will file formal plans for Allston Yards with the City of Boston in the coming months. New renderings have been released of the tower planned at the site of the Huntington Theater in the Fenway. The latest renderings, which are posted above, show a 32-story structure with floor-to-ceiling windows on all floors as well as a large communal rooftop outdoor space. A fitness center is shown on the tower's 3rd floor, and a lounge area is shown on the tower's 4th floor. Current plans for the tower call for 350 to 400 residences above 2 stories of retail. The Huntington Theater building is planned to be retained and restored; two additional existing buildings would be demolished. Plans for the tower have not yet been filed with the City of Boston. 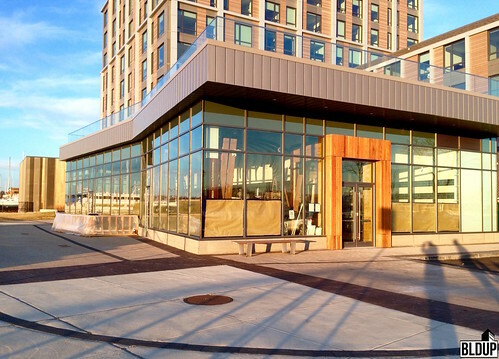 Reel House, a new waterfront restaurant featuring a "globally coastal seafood menu," will open this spring at The Eddy, the East Boston Waterfront's newest luxury building. Led by award-winning Executive Chef Marc Orfaly and owned by Navy Yard Hospitality Group, Reel House will serve a distinctive seafood menu with "a fusion of flavors" and "approachable plates" inspired by worldwide waterfront cuisines. 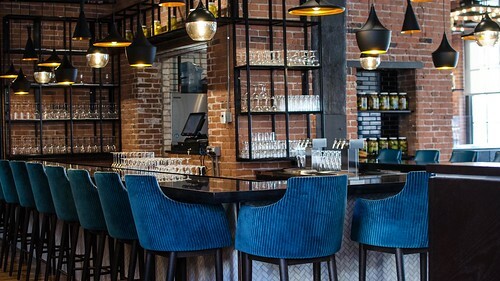 Designed by Sousa Design Architects, Reel House's 5,000 square foot waterfront space overlooking Boston Harbor will be open 7 days a week for lunch, brunch and dinner. 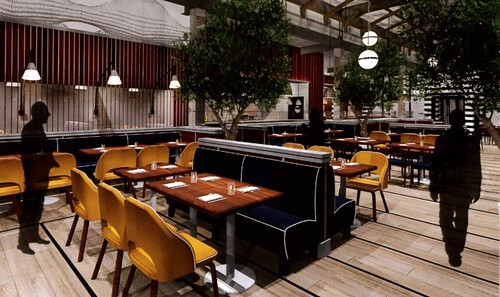 The space will accommodate over 200 seated diners across a main dining room, 2 mahogany bars and a large outdoor patio facing the Boston skyline. A complimentary boat shuttle will connect Reel House and The Eddy to the Charlestown Navy Yard and Navy Yard Hospitality Group's Pier 6 waterfront restaurant. Visit ReelHouseBoston.com for more information about Reel House. New details of amenities at the upcoming Yotel Boston have been revealed in advance of the Seaport District hotel's opening this summer. Yotel Boston will feature multiple amenities including a signature ground-floor Club Lounge and a year-round indoor-outdoor rooftop terrace. Rooms at Yotel Boston will feature adjustable SmartBeds, rejuvenating monsoon rain showers and relaxing adjustable mood lighting. A new rendering has been released of a room at Yotel Boston. 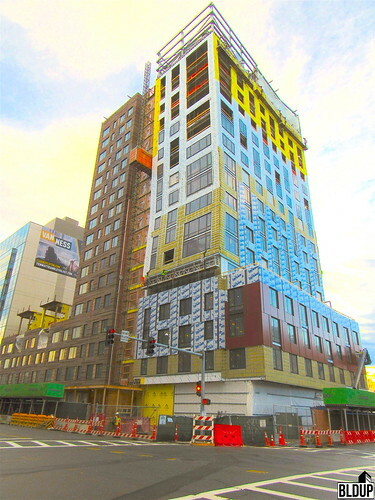 The latest Yotel Boston details and renderings are posted above. CV Properties is proposing to construct a new 266,750 square foot research and development (R&D) office building in South Boston, which would be located steps to the Broadway MBTA Red Line Station. The proponent has filed a Letter of Intent (LOI) to develop the building with the Boston Planning & Development Agency (BPDA) and will soon file a Project Notification Form (PNF) with additional information. Montaje, 447 luxury residential apartments at Somerville’s Assembly Row, will begin leasing in Spring 2017 in anticipation of a mid-2017 opening. 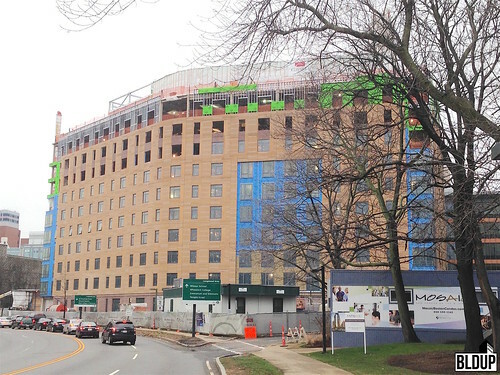 Formerly known as Block 6 at Assembly Row, Montaje’s 20-story tower topped off last month. Exterior and interior finishing are now underway at Montaje in anticipation of leasing. 1,000 new residential units could soon be built on the Stop & Shop supermarket site next to Boston Landing in Allston. Banker & Tradesman reports that Stop & Shop Supermarket Company is in the early stages of planning a 1,000-unit residential development that would be constructed on surface parking lots outside the existing Allston supermarket. The project would also include office and retail space. Kendall Square-based global content delivery network (CDN) leader Akamai Technologies has announced that is has entered into an agreement with Boston Properties to fully lease 100% of office space at the upcoming 19-story 145 Broadway office tower in Kendall Square. Akamai will relocate its’ headquarters to the new building, which is scheduled to open at the end of 2019. Akamai’s lease at 145 Broadway is for 15 years. Akamai has also agreed to lease a minimum of 150,000 additional square feet of space within Boston Properties' Kendall Square office portfolio, which will represent part of the second phase of Akamai’s Kendall Square headquarters campus build out. Occupancy of Akamai’s new headquarters will be coordinated with the lease expirations of the current Akamai office locations in Cambridge. 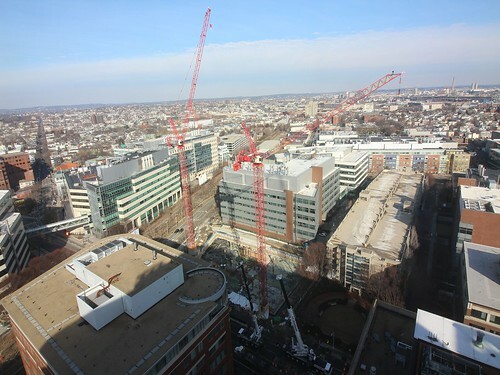 "We look forward to creating a campus environment for Akamai's employees to further foster innovation and collaboration, and to build a headquarters that complements the thriving Kendall Square community, complete with first-floor retail space,” says Erica Chapman, Vice President, Global Real Estate and Workplace Productivity at Akamai. 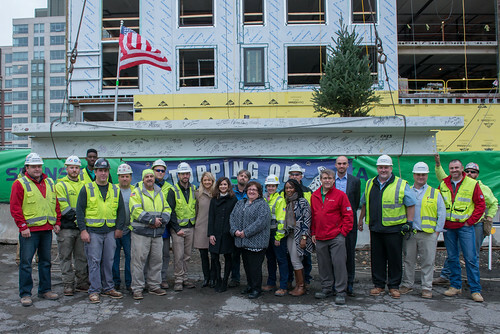 A topping off ceremony was held Monday (November 14th, 2016) for Block 6 at Assembly Row, a 20-story development with 447 residential apartments and 40,000 square feet of retail opening in Early 2018 in Somerville’s rapidly growing Assembly Row neighborhood. 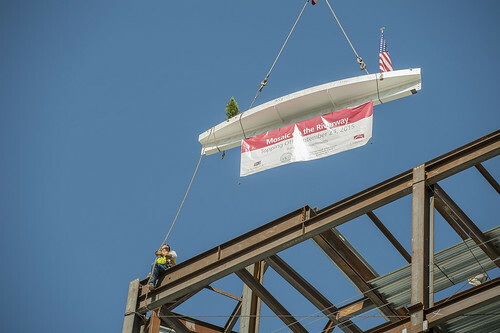 Representatives of the Block 6 development and construction team gathered to sign the 20-story Block 6 tower’s final steel beam then lifted the beam and connected it to the tower’s top floor. 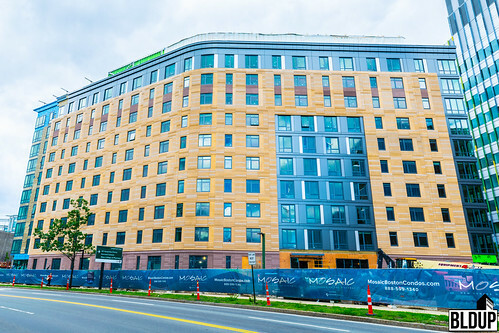 The new 150-room AC Hotel Cambridge, located in West Cambridge convenient to Alewife Station, is now open to guests. The hotel is targeting modern innovators and prides itself in its’ entrepreneur-geared design. Amenities include an "artistic workspace" designed for maximum productivity, a media salon "wired for productivity" with "up-to-the-minute conference technology" and lounge space serving craft drinks from nearby distilleries and microbreweries. Rooms at AC Hotel Cambridge are designed as "warm, Zen space to remove life’s frictions and renew energy," with the motivation that "smart design is crucial to modern business travel." Rates at AC Hotel Cambridge start at about $235 per night. Visit achotelbostoncambridge.com for more information. 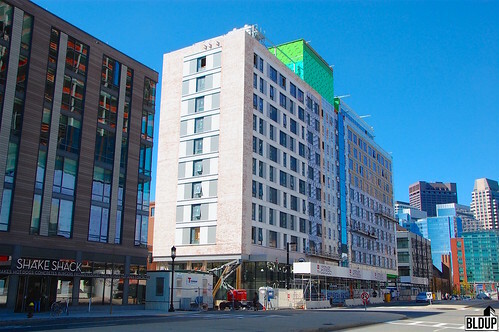 AC Hotels by Marriott will soon open a similar hotel, AC Hotel South End, in Boston. New photographs of AC Hotel Cambridge, courtesy AC Hotels, can be found above. Boston Global Investors (BGI) has hired NGKF as the exclusive agent to sell its' 16,000 square foot new headquarters building located at 55 Seaport Boulevard in the heart of the Seaport District, The Real Reporter reports. The building, which contains office and retail space, reportedly could be fetching record prices. Recently completed 101 Seaport, a 440,000 square foot office building located in the Seaport District steps away from BGI's new headquarters, traded in April 2016 for $1,027 per square foot, the highest price per square foot ever recorded for a Boston office building over 200,000 square feet. As recently reported below, Boston Global Investors will move to its' new headquarters on November 1st. Closings of Mosaic on the Riverway’s 85 mixed-income condominiums commenced last Friday (September 30th, 2016). 11 condominiums have closed to date for an average of $928 per square foot. 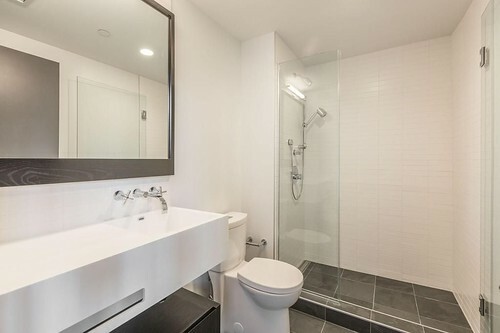 Closing prices to date range from $499,408 for a 569 square foot one-bedroom/one-bathroom unit to $825,300 for an 892 square foot two-bedroom/two-bathroom unit. Mosaic on the Riverway’s condominium component is 100% sold out per the Mosaic on the Riverway condominium sales website. The 145-unit Mosaic on the Riverway contains 42 market rate condominiums, 43 affordable condominiums and 60 affordable rental units. Sales of 37 of 319 A Street’s 48 luxury condominiums have closed to date. 47 condominiums (98% of total) are sold or under agreement, with one studio condominium remaining for sale. Units at 319 A Street to date have closed for an average of $1,200 per square foot. Closing prices range from $499,000 for a 456 square foot studio to $2.787 million for a 2,099 square foot three-bedroom/three-bathroom unit, with a median closing price of $595,000 for a 572 square foot studio. At least two sold units represent the combination of multiple units; 319 A Street was originally planned to contain studio, one-bedroom and two-bedroom units. Proponents Corcoran Jennison and SunCal have filed a Project Notification Form (PNF) with the Boston Planning & Development Authority (BPDA) containing detailed plans for One Charlestown, the proposed $1 billion, 3.3 million square foot redevelopment of the existing 27.6-acre, 1,100-unit Bunker Hill public housing project in Charlestown; the following is a link to the PNF. One Charlestown would reconfigure the project site, replacing the existing low-rise buildings with new ones ranging from six to 21 stories tall containing a total of 3,200 mixed-income residential units and approximately 100,000 square feet of civic and retail space. All 1,100 public housing units would be preserved, and all current residents would have the right to return. One Charlestown housing units would include 750 affordable rentals, 350 senior affordable rentals, 1,500 market rate rentals and 600 market rate ownership condominiums ranging from studios to four-bedrooms. Two new public parks would be constructed at One Charlestown along with streetscape improvements. 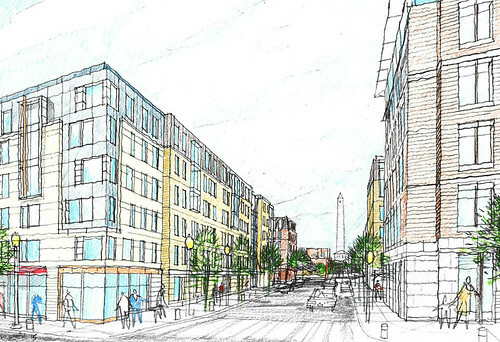 One Charlestown would be built in three phases over an approximately ten year period beginning in 2018. Additional information about and renderings of One Charlestown can be found above. A ribbon cutting ceremony was held last Tuesday (September 20th, 2016) marking the opening of Residence Inn Boston Watertown, the first new Watertown hotel in over 50 years; the following is a link to the official press release announcing the opening. The hotel features 150 studio, one-bedroom and two-bedroom suites with guest amenities including meeting space, a swimming pool, a fitness center and complimentary on-site parking. The Boston Globe reports that Kendall Square-based global internet content delivery leader Akamai Technologies has signed a Letter of Intent (LOI) with Boston Properties to fully occupy 145 Broadway, the proposed 19-story Kendall Square office tower that will contain approximately 454,000 square feet of office space. The move will allow Akamai to house most of its' 1,700 Kendall Square-based employees in one building; Akamai currently leases approximately 500,000 square feet across several Kendall Square buildings. Akamai's existing leases expire in 2019. Akamai is seeking a state tax break for the move, pledging to add 700 additional jobs in return. The Real Reporter reports that Institutional Multifamily Partners (IMP) of California will acquire The Victor, a 286-unit Bulfinch Triangle luxury residential apartment building with 17,000 square feet of ground-floor retail, from developer Simpson Housing for nearly $190 million. IMP has reportedly submitted a non-refundable deposit for the acquisition. 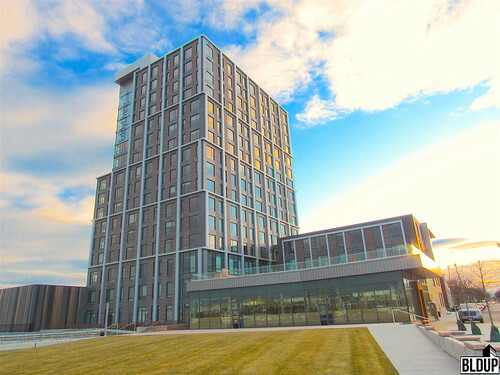 The LEED Gold-certified Victor opened in 2013 and cost $140 million to build; the building is located on a state-owned parking lot. Rents at The Victor range from $2,705/month for a studio to up to $5,250/month for a two-bedroom unit per the Victor leasing website. Boston Properties has filed formal design plans with the City of Cambridge to construct 145 Broadway, a new 19-story, 454,000 square foot office tower in the heart of Kendall Square at the intersection of Broadway and Galileo Galilei Way; the following is a link to the Design Review Submission for 145 Broadway. An existing four-story, 87,636 square foot office building would be demolished; demolition could commence in 2017. The Cambridge Planning Board will consider Boston Properties' plans at a public hearing on September 20th. 145 Broadway is the first step of Boston Properties' planned 1.1 million square foot Kendall Square mixed-use redevelopment project; the following is a link to Boston Properties' full project Concept Plan. 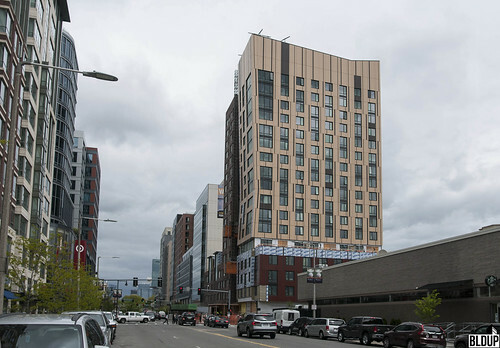 The Eddy, a 16-story, $135 million mixed-use tower on the East Boston Waterfront, is ready to welcome its first residents this coming month. Visit the Eddy website for residential leasing information. The Eddy will feature 258 studio, one and two-bedroom residences with a ground-floor waterfront destination restaurant operated by Navy Yard Hospitality Group and Chef Marc Orfaly. 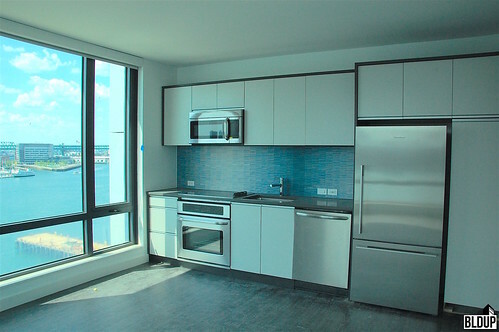 State-of-the-art residential unit finishes are designed in keeping with the building’s waterfront location, with blue kitchen tiles, an open floor plan and oversized windows throughout. 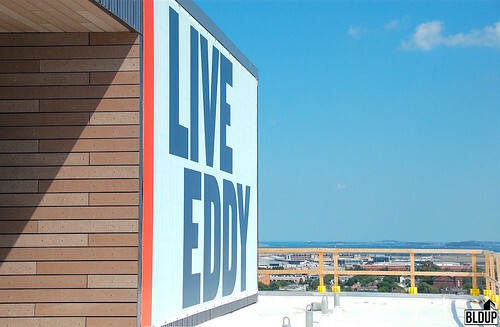 With sweeping harbor and skyline views from every corner, and a particularly breathtaking vista from the top-floor communal roof deck, The Eddy is a uniquely positioned offering that is sure to be a great place to call home. 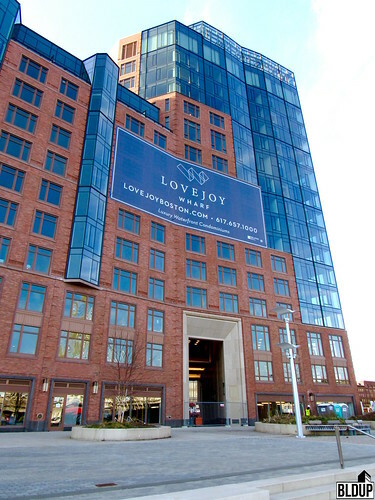 Norwich Partners, developer of the Envoy Hotel in Boston's Seaport District, has sold the Envoy Hotel building for $70,789,300 to Hersha Hospitality of Pennsylvania as recorded today in the Suffolk County Registry of Deeds. Norwich Partners acquired the hotel site in December 2011 for $8,998,000 and secured $38.5 million in financing for the project through RBS Citizens NA in August 2013. The Envoy Hotel broke ground in October 2013 and cost approximately $70 million to build. More information about Our Lady of Good Voyage Chapel is posted below. Installation of windows at Mosaic on the Riverway is complete, and the exterior of the building is completely sealed from the elements. Exterior finishes are nearly fully installed, and installation of interior finishes is underway. Per the Mosaic on the Riverway project website, condominiums are over 95% sold with one remaining. Mosaic on the Riverway will contain a mix of homeownership condominiums and rental apartments. 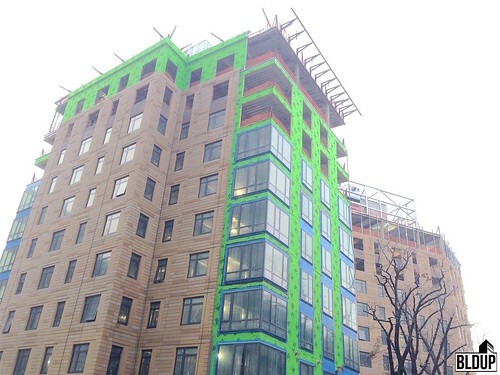 USG Securock Sheathing (green) and Carlisle Waterproof Coating (blue) are installed along the Mosaic on the Riverway facade, providing a moisture and mold resistant air/water barrier system. Exterior finish panels are being installed along the facade using a pulley system anchored at the roofline. 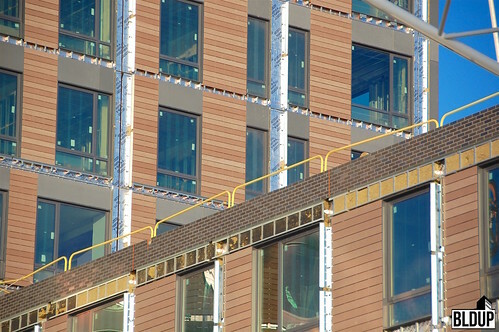 VMZINC facade application material is being used to affix finish panels. Work is underway on sidewalks and curbing surrounding Mosaic on the Riverway. More information about Mosaic on the Riverway is posted below. In today's Boston City Council meeting, Boston Flower Exchange developer The Abbey Group gave a brief overview of the potential redevelopment program. The Abbey Group hopes to construct a commercial component to the project that would include space for technology companies. The project could also include residential and retail components. The Abbey Group has not yet closed on the acquisition of the 5.5 acre Boston Flower Exchange parcel. This page will be updated with additional details as they become available. A live stream of the Boston City Council meeting is available here. The Boston Redevelopment Authority approved South Bay Town Center for construction at last night's board meeting. Located in Dorchester at the existing South Bay Center shopping mall, the 720,000 square foot mixed-use development project will include approximately 475 residential units, 120,000 square feet of retail space, a 60,000 square foot cinema and a 130-room hotel. Construction of South Bay Town Center could start in the third quarter of 2016. A rendering of South Bay Town Center is posted above. More information about South Bay Town Center is posted below. The sale of the Huntington Avenue theater property, owned by Boston University for 62 years, to QMG Huntington LLC closed today for $25 million as recorded in the Suffolk County Registry of Deeds. QMG Huntington LLC is a limited liability company with an address of 133 Pearl Street, home of developer GFI Partners. It was previously reported by BU Today that developer John Matteson, whose firm The Matteson Companies is a development partner of GFI Partners, was involved with the investment group acquiring the theater property. QMG Huntington LLC's registered manager is local real estate investor Fan Du of Qianlong Property Development. 319 A Street's historic exterior has been restored as the building's summer 2016 opening nears. New windows have been installed along the building's facade. These windows have been expertly designed to meet historic specifications, restoring 319 A Street to its original glory. 319 A Street was originally a leather warehouse for the Kistler Leather Company. The building later housed P. Pastene & Company, a food importer and retailer. The alley adjacent to 319 A Street is known as Pastene Alley to this day. Work is moving forward on 319 A Street's rooftop terrace. Steel framing has been erected for elevator and stair access to the roof. Interior work continues on 319 A Street's 48 luxurious condominiums and on the Oak + Rowan restaurant in the building's ground floor retail space. 319 A Street's newly restored exterior is a prominent feature along A Street. More information about 319 A Street is posted below. The Royal Belmont has topped off, and exterior finishes are being installed across the project's five residential buildings. The building permit for the project was issued on March 5th, 2015. Anticipated opening of The Royal Belmont is in summer 2016; apartments are currently pre-leasing. A new photograph of The Royal Belmont is posted above. Additional project information is posted below. 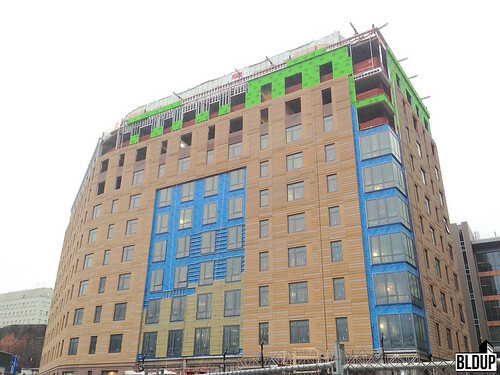 AC Hotel Cambridge is fully topped off, and windows and sheathing have been installed. Exterior finishes will soon be in place, giving AC Hotel Cambridge a distinctive presence at the Cambridge Discovery Park and along Route 2. 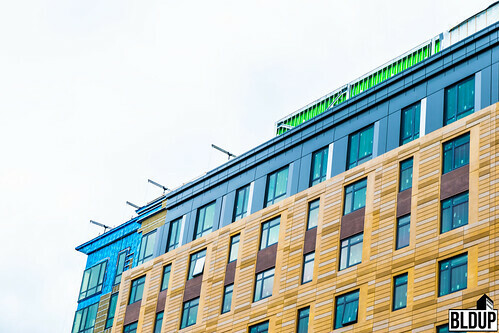 New photographs of AC Hotel Cambridge are posted above. Additional project information is posted below. BU Today reports the Huntington Avenue theater property currently owned by Boston University is under agreement for $25 million to an investment group working with Boston-area developer John Matteson. 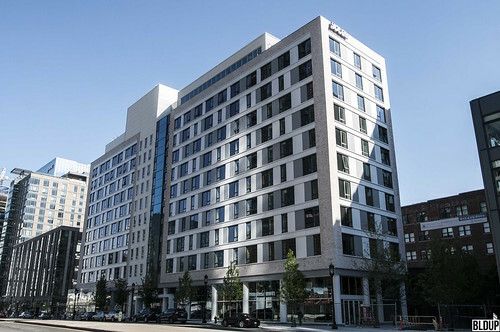 Matteson is currently a partner at Harbinger Development, a Wellesley-based real estate investment firm currently developing the Haymarket Hotel and Parcel A Hotel in Boston. Matteson is also the founder and CEO of real estate investment firm The Matteson Companies. Following closing of the sale, the Huntington Theater Company will receive rent-free use of the Huntington Avenue property, on which it has operated for 34 years, through June 2017. BU Today reports that Matteson is speaking with the theater company regarding the possibility of continued use of the Huntington Avenue property past June 2017. The sale includes the 890-seat theater building at 264 Huntington Avenue in addition to two adjoining buildings at 252 and 258 Huntington Avenue. The three buildings have been owned by Boston University for 62 years. 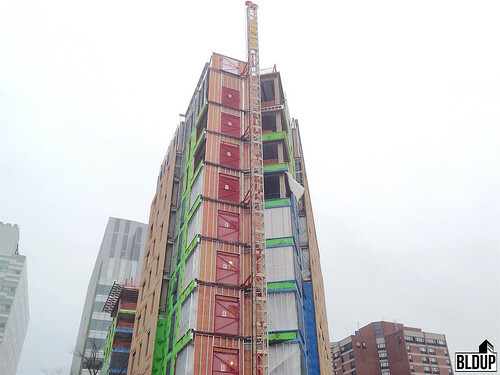 UPDATE: As of Saturday, Yotel Boston's crane has been installed, signaling the impending start of frame construction! Exterior finish installation is underway at Our Lady of Good Voyage Chapel. Moisture-resistant cladding and fireproofing have been installed along much of the Chapel's completed steel frame. 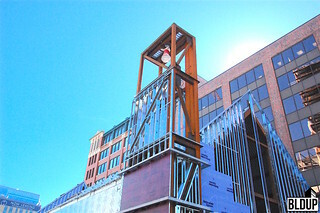 The future Chapel bell was installed in the future steeple on February 12th. In an update delivered today by Boston Global Investors Managing Director John Hynes at a Seaport Square Parcels M1 and M2 public meeting, it was announced that a CapitalOne 360 cafe and bank will occupy the ground-floor retail space at the Block H Offices building on Seaport Boulevard. Ten New's facade is just about complete. Interior work continues to progress on the 16-story building's apartments, resident amenities and ground-floor commercial space. 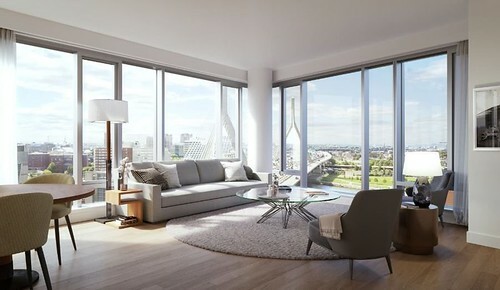 Located on Boston Harbor, Ten New residents will enjoy sweeping views of the downtown Boston skyline. Ten New's ground floor is anticipated to house a waterfront restaurant. The Boston Flower Exchange will likely be sold to local developer The Abbey Group, according to sources familiar with the deal. The Boston Flower Exchange has been told to move out by the end of 2016. Sale of the property has not yet closed. 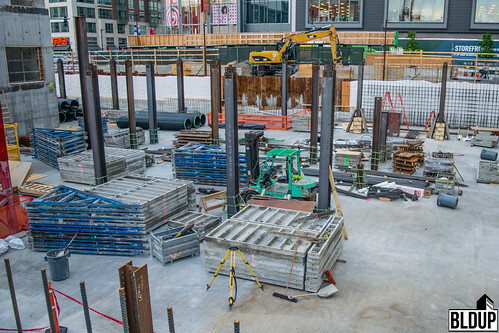 Pile driving and foundation work are moving forward at Boston Global Investors' new four-story office building on Seaport Square Parcel H in Boston's Seaport District. Boston Global Investors will relocate its' headquarters to the building once complete; Boston Global Investors is currently headquartered in Boston's Financial District. 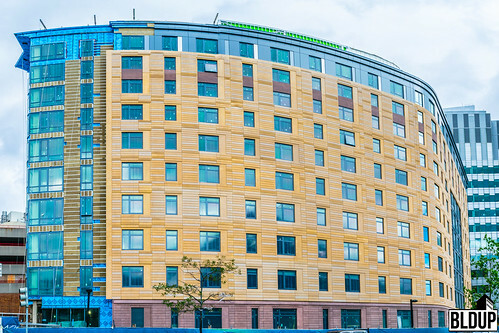 The building is located in between under-construction Yotel Seaport Boston and Our Lady of Good Voyage Chapel, both of which are also developed by Boston Global Investors. The Seaport District parcel approved for construction of The Residences at 399 Congress Street was sold today by Madison Seaport Holdings LLC to 399 Congress LLC, an affiliate of developer Crescent Heights. Sale price was $36,000,000. The parcel was last sold in 2006 to Madison Seaport Holdings LLC for $5,650,000. 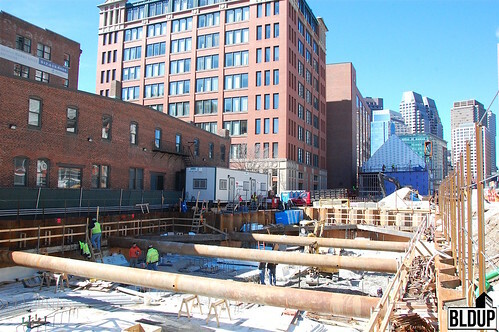 With piles driven, construction is moving forward on Yotel Seaport Boston's foundation; digging is currently taking place. Yotel Seaport Boston's frame will rise above the foundation pictured and will also extend over the existing MBTA Silver Line transit station, towards recently-completed Watermark Seaport. Yotel Seaport Boston is an exciting addition to Boston's growing Seaport District, providing today's travelers and innovators with a unique, affordable place to stay in Boston's most innovative Seaport District. The frame of Our Lady of Good Voyage Chapel is just about complete. Welding is wrapping up, and walls and finishes will follow shortly. 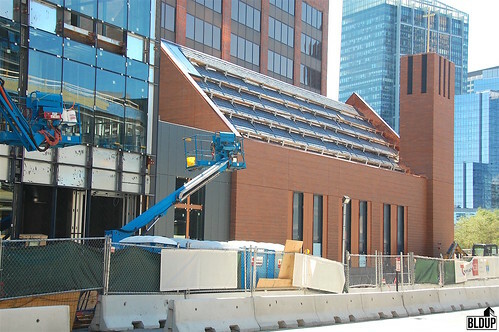 Our Lady of Good Voyage Chapel brings added character to Boston's growing Seaport District, serving as a unique and distinctive gateway to the neighborhood. 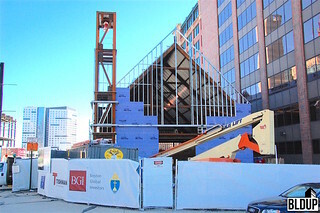 The under-construction Chapel is being built in place of the existing Our Lady of Good Voyage Chapel located on Seaport Square Parcel D, which will eventually be demolished to make room for additional development. Exterior finishes and glass are just about fully installed at Ten New! 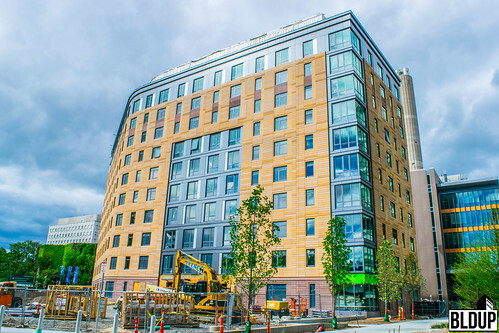 Exterior finishes and windows are nearly fully installed at Mosaic on the Riverway. Work will soon commence on interior finishes. 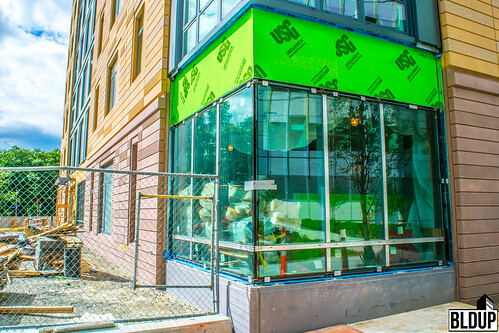 We stopped by the 6-26 New Street, since officially named Ten New, construction site and were excited to see that installation of finishes had progressed significantly! 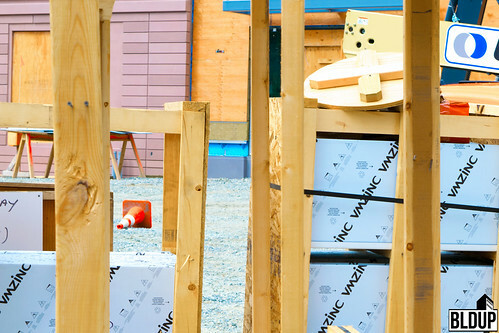 We were able to gain a closeup view of the finishes as they were delivered on street level; see our photographs above. Ten New was officially topped off on Friday, November 13th; congrats to Gerding Edlen, Suffolk Construction and all involved! We stopped by 6-26 New Street last week and were thoroughly impressed. The building has grown significantly and appears just about ready to top off. Finishes and windows are also beginning to be installed on the building's ground floors. 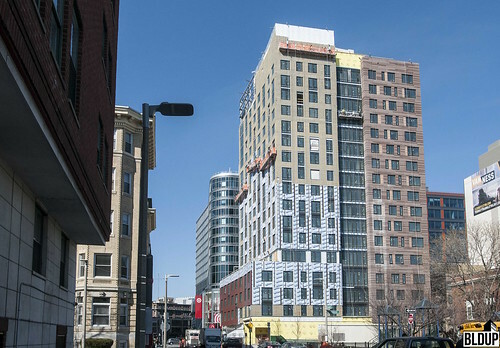 With its added height, 6-26 New Street is now visible from all around, throughout East Boston as well as from downtown Boston. Recently-completed One Greenway stands proudly at the front of downtown Boston's southern skyline! Check out our photograph above of One Greenway as seen recently from the South End at Ink Block. Previous five photographs above, taken in April 2015, show the final months of construction at One Greenway. Thank you to general contractor Lee Kennedy Company for giving us an inside look at progress on 319 A Street! Renovation and restoration of the historic warehouse into 48 luxurious condominiums is progressing swiftly, on target for summer 2016 completion. Interior demolition is well underway. 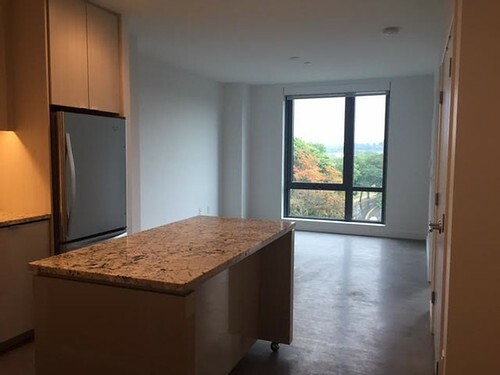 We were impressed by the abundance of natural lighting in 319 A Street's interior spaces! The construction team will soon remove 319 A Street's windows and thoroughly restore the historic facade. Scaffolding has been partially installed surrounding the building. 319 A Street's new windows will be crafted to meet the building's historic specifications. Condominiums at 319 A Street will feature unique views of the Fort Point neighborhood streetscape. Lee Kennedy Company has established a field office in 319 A Street's future retail space, which will be home to restaurant Oak + Rowan. Interior demolition work is starting at 319 A Street. Demolition is taking place in 319 A Street's future retail space, which will house a new restaurant, Oak + Rowan. Fencing has been installed surrounding 319 A Street, and construction boom lifts have been parked on site. The construction team is preparing to remove and replace 319 A Street's windows. New marketing banners have been hung along 319 A Street's historic facade. 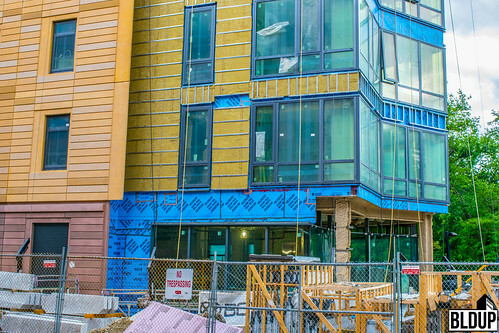 We stopped by 6-26 New Street on the East Boston Waterfront recently. Construction is progressing smoothly. We are excited to watch this game-changing development continue to take shape! 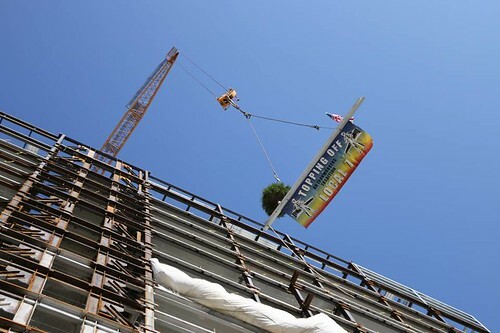 A topping-off ceremony was held today for Mosaic on the Riverway. Expected completion of the project is in 2016. The Envoy Hotel officially opened today! Also open are the hotel's new Lookout and Outlook restaurants. 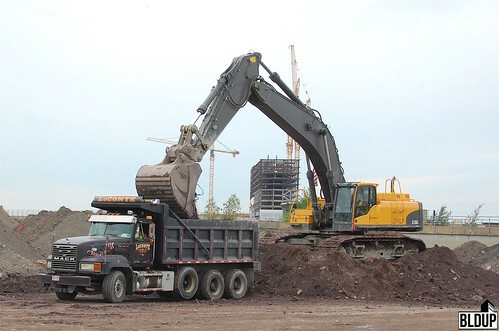 The following is a link to more photographs by excavator The Welch Corporation. We stopped by 6-26 New Street recently. Construction appeared to be actively progressing. At the time, demolition of the structurally unsound nine-story building was not yet approved. (The Boston Redevelopment Authority approved the new development plans on April 16th, 2015.) The tallest building shown on site is the nine-story building that would have been renovated along with a seven-story height addition. Both buildings shown in our site photos will now be demolished, and new ones will be built in their stead.